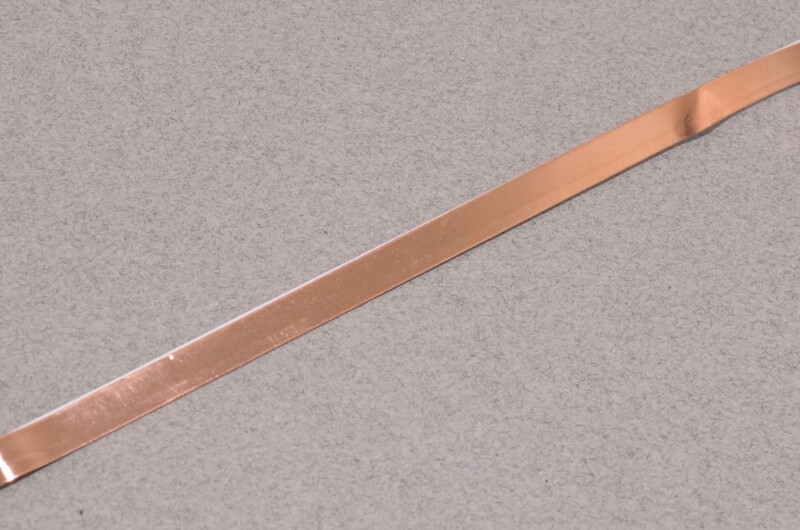 Copper tape can be an interesting addition to your toolbox. 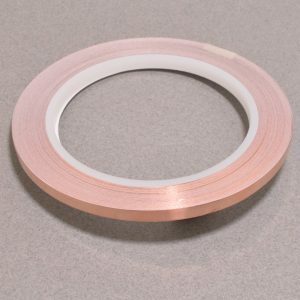 The tape itself is made of thin pure copper so it’s extremely flexible and can take on nearly any shape. 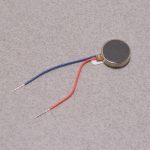 You can easily solder to it, and the tape itself can carry current just like a wire. 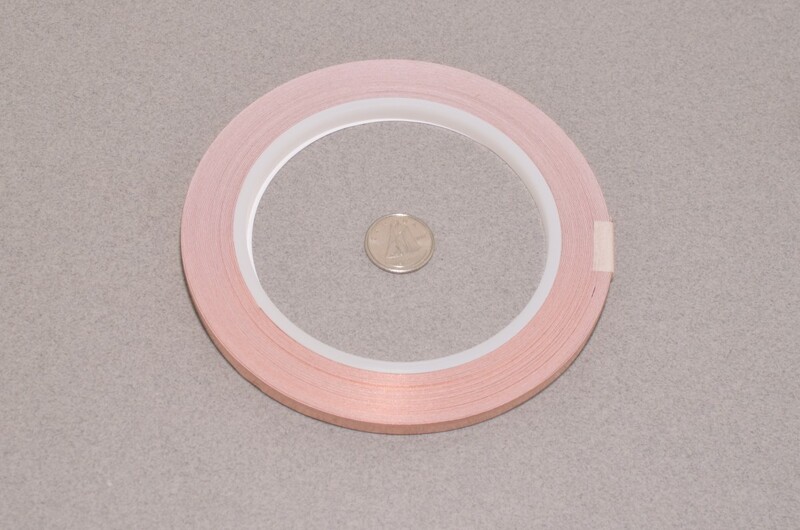 On the back is an electrically conductive adhesive. 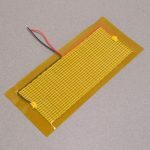 The adhesive can't carry significant current but it is very handy for sensing applications where you don't want to solder the copper tape. 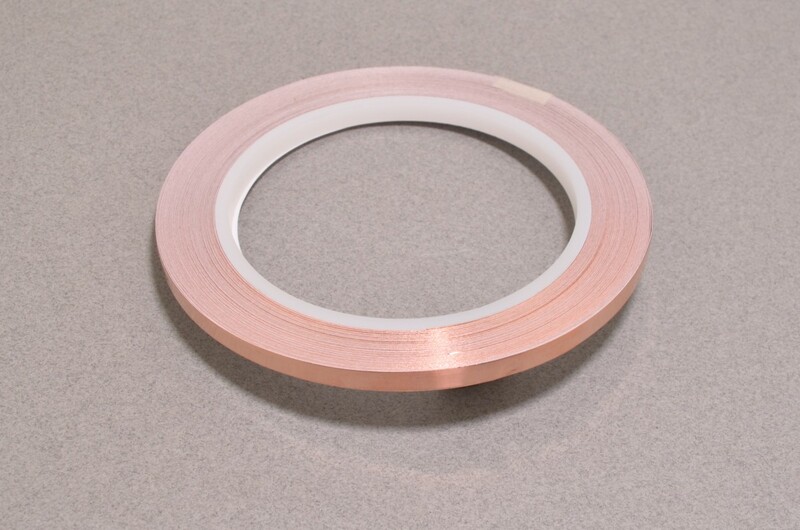 The tape ships as a roll 15 meters long, this tape is 3mils/0.07mm thick, 1/4″/5mm wide and has conductive adhesive on one side and a protective paper backing over the adhesive. SKU: PROTO-046. Categories: Makey Makey, Wearables, Accessories. 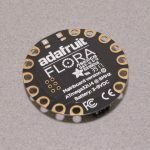 Tags: Adafruit, E-Textile, Light Packet, Wearable.